Our range of products include non-asbestos tape and non asbestos tapes. 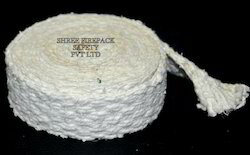 We are a prominent Non-Asbestos Tape manufacturer and supplier based in India. 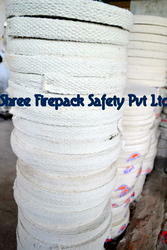 Shree firepack safety pvt ltd specializes in offering qualitative range of Non-Asbestos Tape. Also our range of product include like yarn, ropes,cloth,webbing tapes,fire blanket,aprons,suits,welding blanket,coated & uncoated fabrics made of asbestos,non asbestos material like glass fiber,cermaic fiber & silica. Non Asbestos Tapes offered are made available by us in 100% asbestos free construction choice. Initially coming in low temperature resistance, the same can also be enhanced to about 200 c through special treatment of tapes as demanded by the customers. Further, we can also customize these non asbestos tapes on other parameters as demanded by the customers. Looking for Non Asbestos Tapes ?